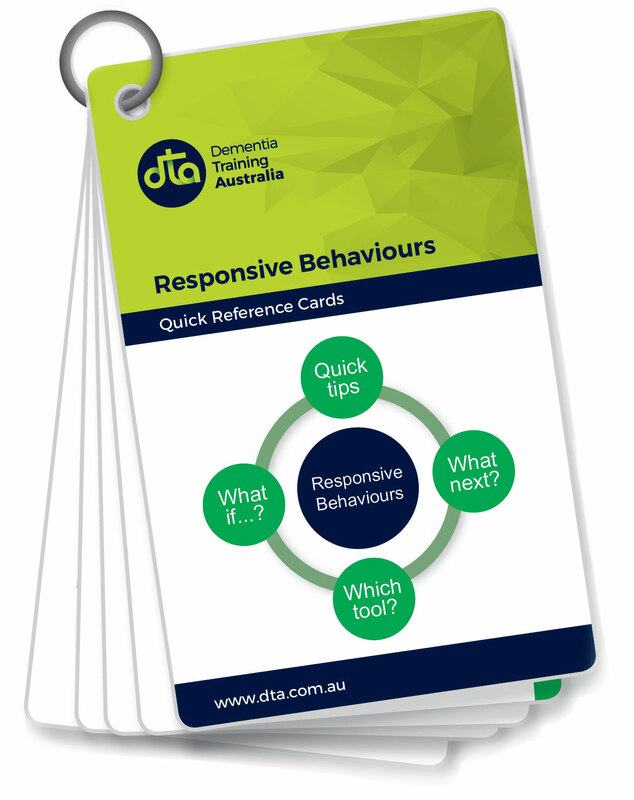 This is an excellent resource from the Dementia Training Australia group. It provides 11 cards divided into each of the basic categories of responsive behaviors (i.e. anxiety, vocally disruptive, etc.). The file enables the user to print double sided color copies and if they desire, cut, laminate and hole punch so that they become pocket sized reference material.